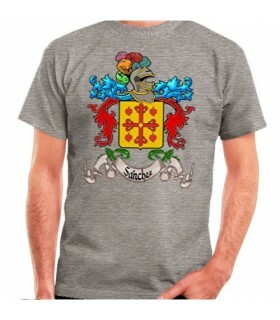 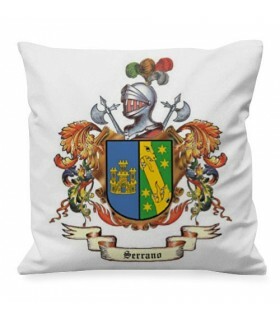 Heraldry There are 28 products. 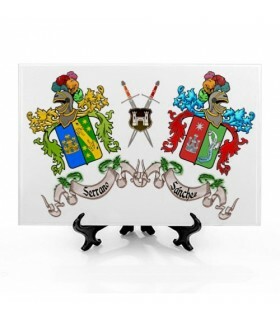 Heraldry is the science studying the crest of every lineage, the names and the origin of the surnames. 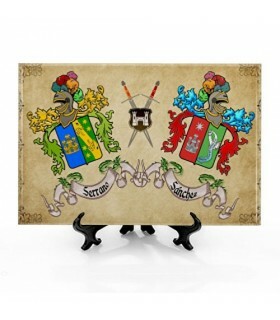 The medieval english heraldry is the basic guide to begin a heraldry study. 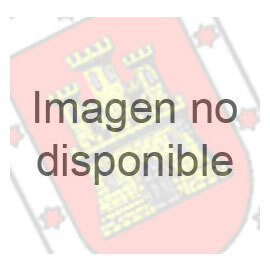 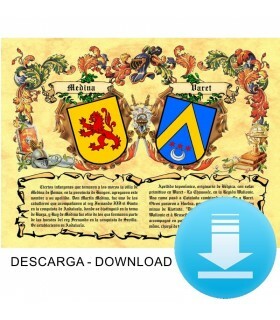 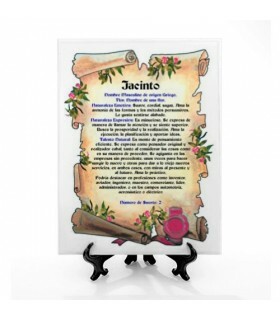 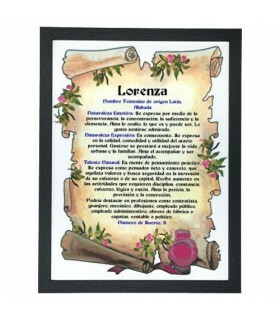 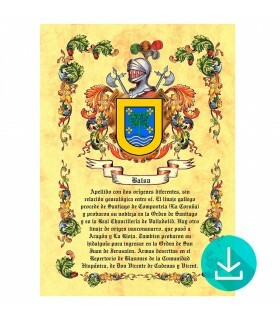 Scrolls: we can send the surname's crests in a pdf file. 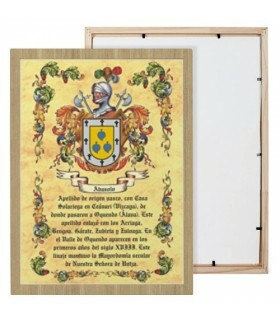 They are perfect for the people who want to keep a souvenir in digital format, saving on the shipping costs. 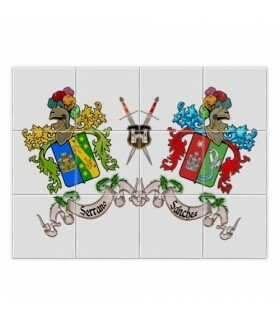 Decorative tiles: we offer different sizes and different formats: tiles with frame (to hang) or tiles with base (for the shelf or table). 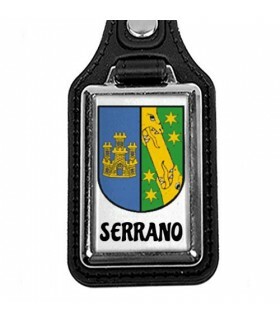 Keychain: original keychain with your crest and your name. 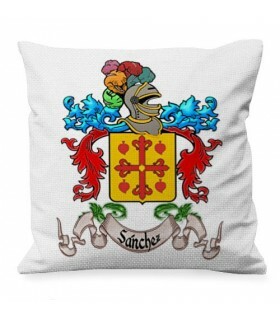 Cushion: original cushion with your crest and your name. 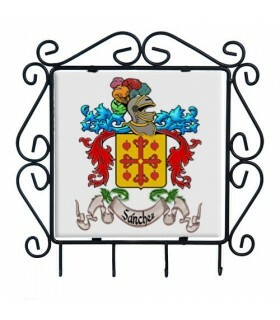 Banners: to hang inside or outside. 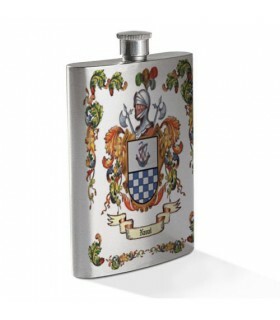 Perfect for any medieval event. 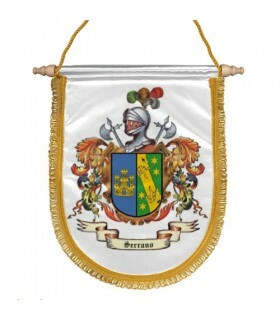 Pennants: a classic adapted to your family crest. 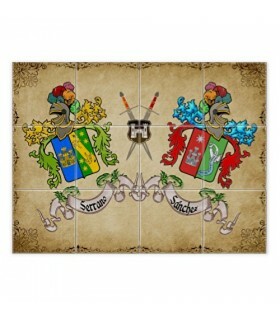 NOTE - You have to keep in mind that evey crest belong to only one family. 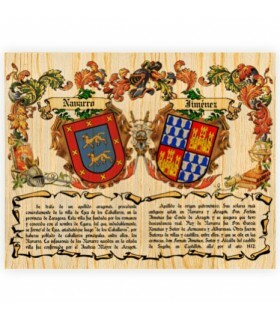 To know if a surname has a meaning, or a family crest belong to yours, is very difficult to study and complicated to prove. 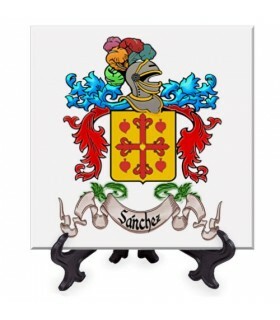 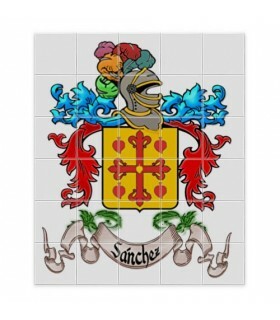 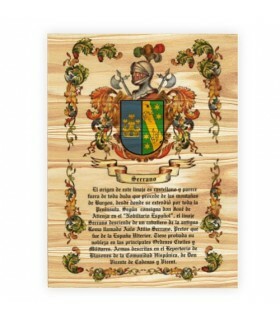 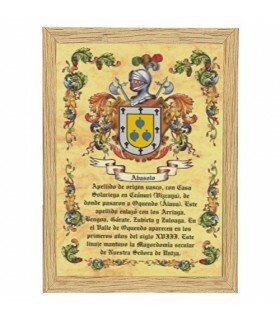 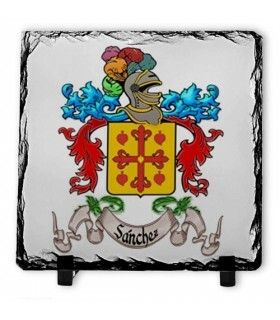 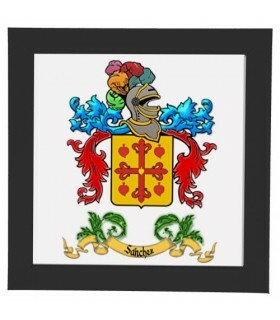 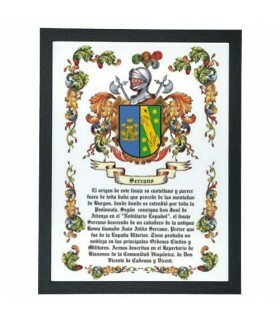 In the most of the cases is impossible to find the origin of a surname, as NOT all the them are represented by a crest. 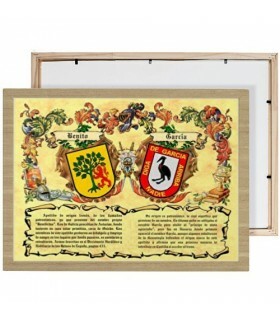 We offer a free list of names and surnames to check the availability of your surname before you choose your custom item and make the order.